Today in Phoenix, Federal Judge Susan Bolton (a Clinton appointee) announced the Arizona law will go into effect as scheduled, but without most of the “controversial provisions”. Her ruling puts on hold the sections of the bill requiring police officers to check the immigration status of suspected illegal aliens while they are enforcing other laws. She also placed the provision requiring aliens to carry immigration papers on their persons at all times on hold. 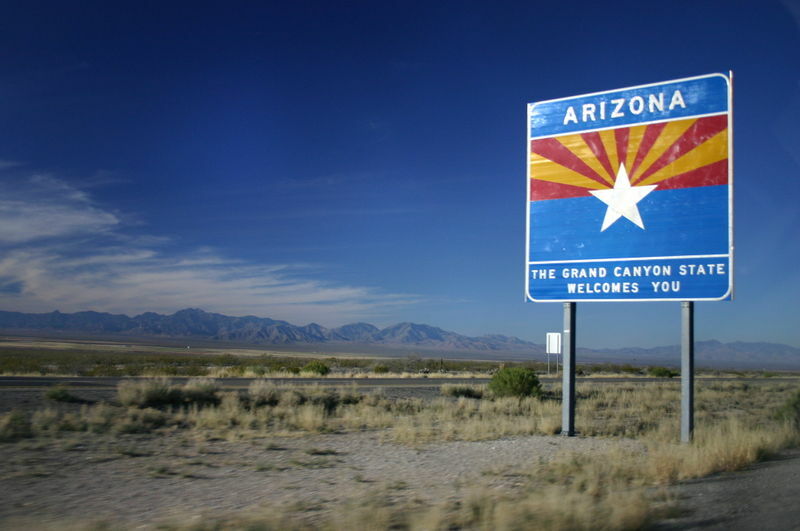 The Arizona law also would have prohibited illegal aliens from gathering in public places to seek employment and allowed for the warrantless arrest of suspected illegal aliens. These provisions have also been placed on hold pending a full review by the court. The toothless tiger that remains will still go into effect at midnight tonight. This mostly includes procedural revisions to existing Arizona Immigration statutes. So for now, the debate continues. What do you think? Well Bob, you, Curtis Collier, Norm Adams and the rest of the amnesty crowd must be very happy today with some of the important provisions of 1070 being struck. I'm sure it gives you even more hope for Comprehensive Immigration Reform passing in the near future. We on the side of the American people have only just begun to fight. Susan Bolton (Clinton apointee on recommendation by Jon Kyl with unanimous approval from GOP controlled US Senate in 2000. Janet, Thank you for taking the time to read our posting on this topic. Your input in these matters is always appreciated as are those of all of our readers. For the record, neither Curtis Collier, Norman Adams nor I support amnesty in any way shape or form. We do support finding a way to get the issue of illegal immigration and our broken immigration policy fixed so this problem can be sensibly addressed. When 1070 was signed by Governor Brewer my position was there were parts of the law that were unconstitutional and put American citizens at risk of having their rights violated. Subsequent revisions of the bill tempered many of those provisions, but clearly there remain issues that are debatably unconstitutional. Since this posting right after Judge Bolton's ruling, Gov. Brewer has, not unexpectedly, come out and said Arizona will appeal the process to the Supreme Court if necessary. This is absolutely the right thing for the state of Arizona to do as it sets up a challenge before the Supreme Court to debate the issue of state sovereignty as guaranteed by the 10th Amendment of the US Constitution vs the "Supremacy Clause" in Article VI, clause 2 granting certain exclusive powers to the federal government. This debate needs to happen. Arizona's position is the state has the ultimate responsibility for the safety and protection of its citizens. The Federal Government claims ultimate jurisdiction over immigration law. The irresistible force meets the immovable object. The debate will continue as long as we have a free and open society. I am grateful that you and I have a forum where we can openly speak our minds and further our objectives without fear of governmental interference and retaliation. Bob Price posted a brief review of what the federal Judge ruled regarding Arizona's Immigration law SB1070 today, and referred to a Reuters link for more detail. Bob simply reported what happened. Janet labeled Bob Price, Curtis Collier, and yours truly, as part of the "Amnesty Crowd." Bob Price and Curtis collier are both well respected leaders of US Border Watch. I have worked on immigration reform efforts with Bob and Curtis. I am a Co-founder of Texans For Sensible Immigration Policy. I have never advocated amnesty, and to my knowledge neither have Bob or Curtis! Showing my partisanship? I didn't know I had ever been hiding it. After all, this is Texas GOP Vote, not Texas Anyway the Wind Blows Vote. More specifically, the reference to who appointed a federal judge is a standard practice in journalism. I don't think I have ever seen any journalist define a judge the way you did primarily because prior to the past few years judges and justices were approved by the Senate pretty much by a rubber stamp unless there was something glaringly wrong with a nominee. It has only been since President Bush started appointing judges that the political leanings of a judge have come into question in the nomination process. Unfortunately, this trend has continued. So, thank you for your input, but I will stand by my original writing.